It will be a marathon week for the tent crews as they work long hours to set up close to 50 tents for the marathon. 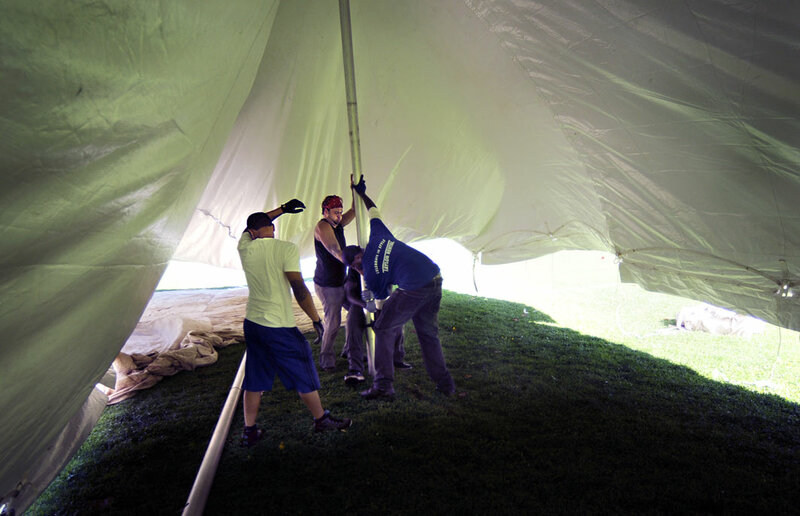 The tent crew from Taylor Rental in Manchester was making tremendous progress in Bushnell Park Tuesday in preparation for Saturday’s Hartford Marathon. The tents are used for medical facilities, food, media, corporate sponsors and a massage center for the runners. Thousands of runners and spectators will fill the park on Saturday morning for the annual event. This 30’X75′ tent is one of the largest to be set up in the park.